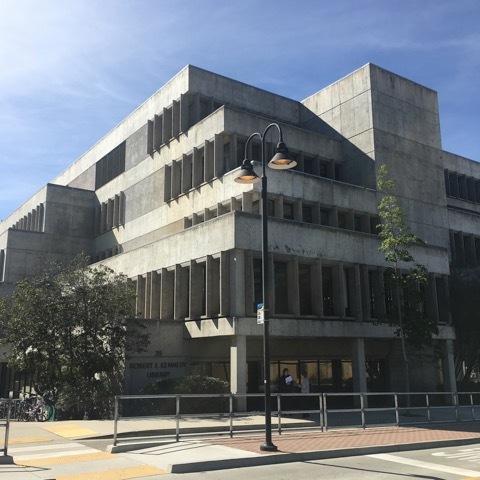 Background: in 1984, the Academic Senate Curriculum Committee was asked to prepare a policy statement which would differentiate between Bachelor of Science degrees and Bachelor of Arts degrees at California Polytechnic State University, San Luis Obispo. The need for this arose when some departments at Cal Poly proposed to change their B.A. degrees to B.S. degrees. The requests were refused by the Chancellor's Office in part because Cal Poly, SLO, had no campus policy which specified the differences between the two degrees. A major providing depth of preparation in an academic or professional field. General education providing basic university-level education in science and mathematics, in the social sciences, in the arts and humanities, and in human communication. is usually less specialized than a Bachelor of Science degree. requires a minimum of 180 quarter units for the degree; 36 units are required in the major, of which at least 18 units are at the 300-400 level. is normally awarded in such majors as the languages, literature, other humanities, and history. requires a minimum of 180 quarter units for the degree; 54 units are required in the major, of which at least 27 quarter units are at the of 300-400 level. is normally awarded in such majors as the physical and biological sciences, engineering, and agriculture. California Code of Regulations Title 5 5CCR Section 40500. Bachelor of Arts Degree: Required Curriculum. California Code of Regulations Title 5 5CCR Section 40501. Bachelor of Science Degree: Required Curriculum.